TRAINER John Sargent says Kerrin McEvoy gave him the thumbs up on Tuesday morning at trackwork after getting off Luvaluva as she prepares to secure a valuable Group 1 win in the $500,000 Vinery Stud Stakes (2000m) at Rosehill Gardens on Saturday. The three-year-old filly is coming off a good win in the Group 3 Kembla Grange Classic (1600m) and will be even more impressive over Saturday's trip according to Sargent. "She's going in the right way after the win at Kembla Grange. 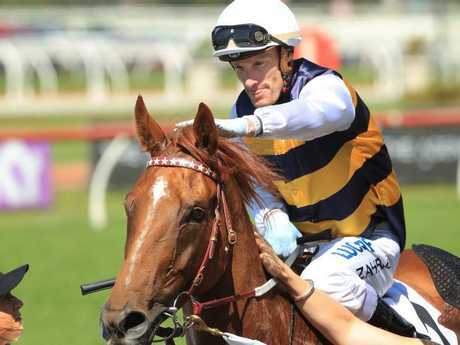 She's improved since then and the 2000m is right up her alley," Sargent said. "She's in it with a good winning chance and will go well on Saturday. She can handle a wet or dry track so that won't be a problem. Kerrin McEvoy galloped her on Tuesday morning and was very happy with her." 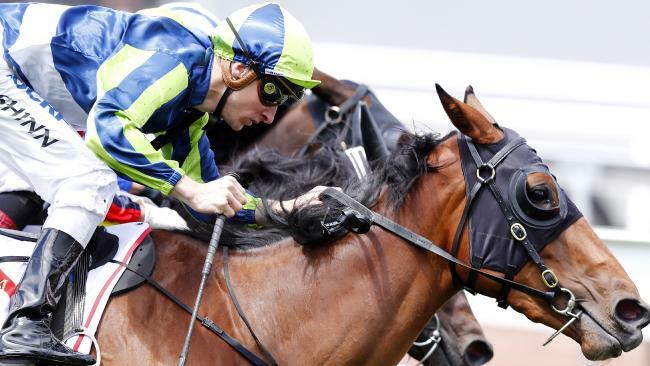 Luvaluva won the Group 2 Wakeful Stakes in the spring over 2000m before finishing fourth in the Group 1 VRC Oaks. But she's a different horse now which was evident when she finished sixth to the outstanding Kementari in the Group 2 Hobartville Stakes (1400m) first-up. She showed all the signs of a staying filly when she won the Kembla Grange Classic and Sargent was happy to read there's been 17 nominations for the race. He wants a big field to ensure it isn't a sit-and-sprint race. "She'll race midfield and I know she'll get to the line strongly," he said. "By the look of the nominations it will be a full-sized field so there will be some speed in the race and it should be a good staying test which will suit her. "She seems a lot more mature this time in and after this run and (ATC) Oaks she'll have a spell and come back a very good four-year-old in the spring. "She's taking everything in her stride a lot more and that's going to hold her in good stead and she's improved, mentally." The final field will be released after 10.30am on Wednesday morning and is expected to include the likes of Unforgotten, Aloisia, Bring Me Roses, All Too Soon and Alizee. The other Group 1 race on the card, the Tancred Stakes (2400m) has attracted 12 nominations and Gailo Chop is the early $2.05 favourite with Ladbrokes while Almandin is the second top pick at $3.60. Meanwhile, jockey Kirk Matheson will be out of the saddle for at least eight weeks after suffering fractured ribs and a bruised liver after suffering a race fall at Grafton last Tuesday.